*Note: all the steps listed can apply to prevention of all cancers, not just breast. Carrying excess weight, especially around your midsection, can increase your risk for breast cancer. If you have a tape measure handy – measure your waist circumference. The goal is to maintain your waistline to be no more than half of your height. Leading an active lifestyle can provide protection against many types of cancers. General recommendations are for adults to engage in at least 150 minutes of moderate intensity or 75 minutes of vigorous intensity activity weekly. Focus on limiting sedentary behaviors such as sitting, laying down, watching TV, etc. The American Institute for Cancer Research recommends eating a mostly plant based diet loaded with fruits, vegetables, beans and whole grains. 4. Make half of your grains whole! Choose whole grains and other high fiber foods with the goal of consuming at least 25 grams of fiber per day. Examples of whole grain sources include: 100% whole wheat, quinoa, millet, bulgur, brown rice, wild rice, or oatmeal. 5. Seek high fiber foods. LEGUMES, BEANS, NUTS AND SEEDS: peas, lentils, black beans, lima beans, almonds, pecans, etc. VEGETABLES: broccoli, peas, artichokes, Brussels sprouts, carrots, etc. FRUITS: raspberries, pears, apples, bananas, oranges, strawberries, raisins, etc. *Note: be sure to keep the skin on most of your fruits and vegetables – that is where most of the fiber is stored. Reduce your intake of high calories foods and drinks, such as deep-fried foods and sodas. If you drink alcohol, limit your intake. Drink no more than 1 drink per day for women and 2 per day for men. A standard drink can be measured as: 12 ounces of beer (5% alcohol content), 8 ounces of malt liquor (7% alcohol content), 5 ounces of wine (12% alcohol content), and 1.5 ounces or a “shot” of 80-proof spirits or liquor. Outside of some of these nutrition and wellness steps, it is also important to follow recommendations for breast cancer screenings. 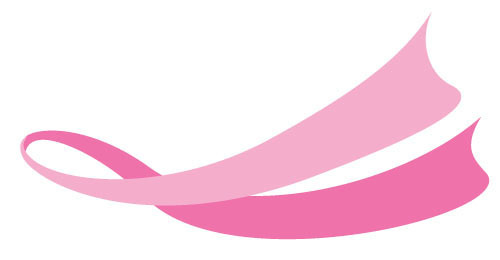 According to the American Cancer Society, women should receive yearly mammograms starting at the age of 40. Clinical breast exams, an examination by the doctor or nurse who uses his or her hands to feel for lumps and other changes, should be completed every three years for women in their 20’s and 30’s and annually for women in their 40’s. Breast self-exams, when you check your own breasts for lumps or changes, should be completed regularly for women starting in their 20’s. If you have specific questions regarding your personal medical history, consult your physician.